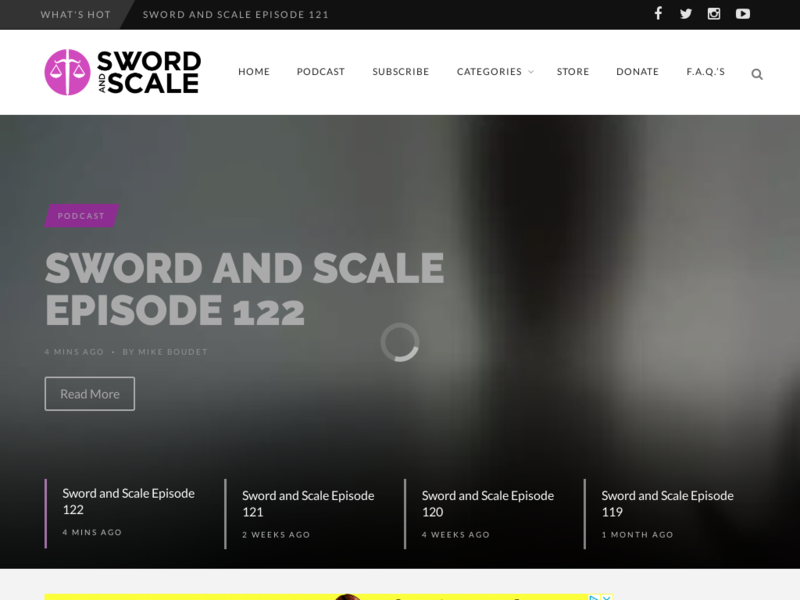 Sword and Scale is a top 100 iTunes podcast and accompanying website featuring unique true-crime related stories. The audience is mostly female, well-educated and between the ages of 25 and 45. Recommended ads include those for books & audiobooks (especially in the mystery or true-crime genres), movies (also in these genres), and also other podcasts and radio shows.